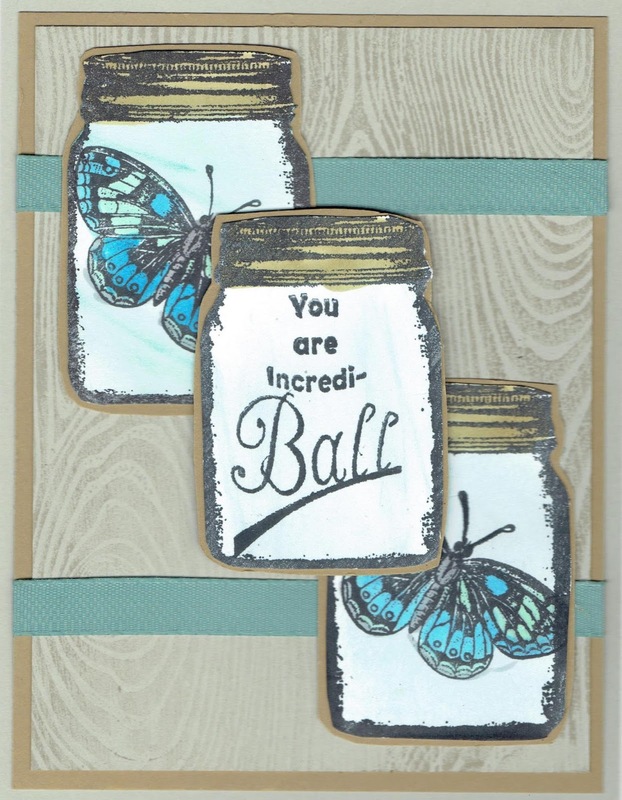 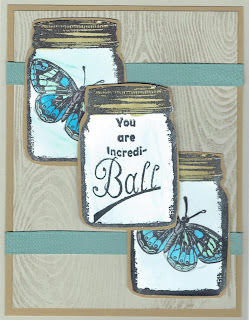 Hi, It's Gini and I've got a fun, new stamp to share with you today, from Technique Junkies! 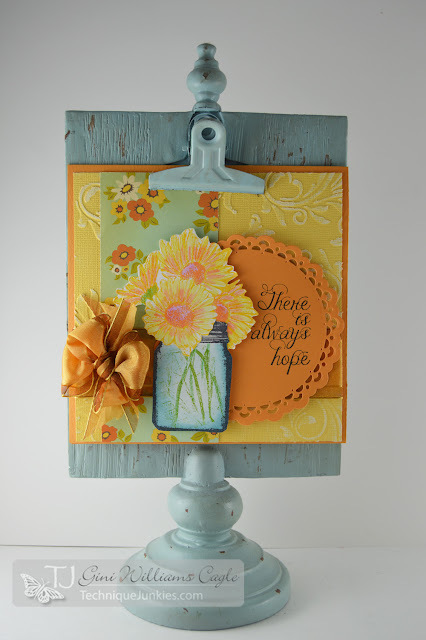 I used the IncrediBall Canning Jar set and mixed it up with parts of the Vintage Daisy Collage. 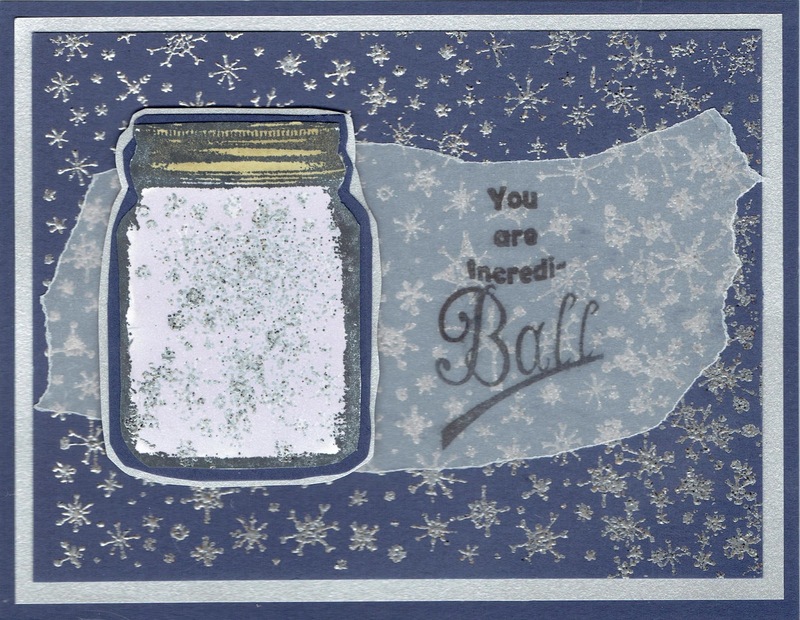 I stamped the stems into the jar with green ink and then stamped and colored the flowers, and fussy cut them, and "arranged" them in the vase. 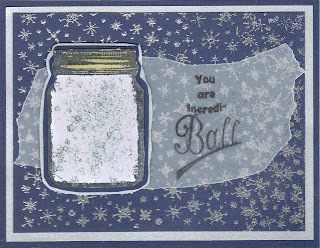 the sentiment, Always Hope was stamped onto a die cut, and layered behind the jar.